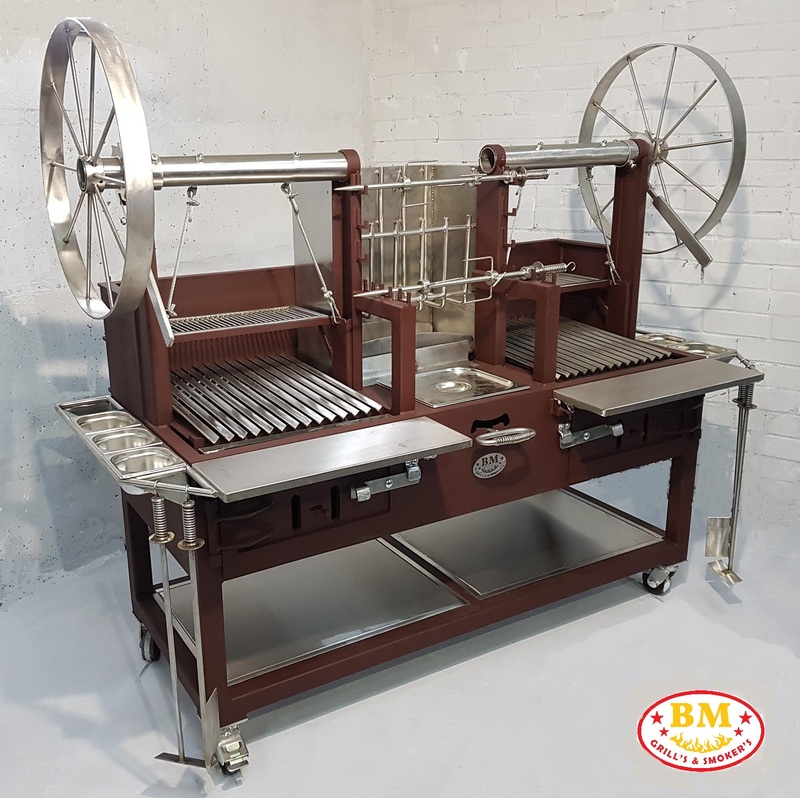 BMG-5 PLUS is one of the most beautiful barbecue grill pits we have ever built. 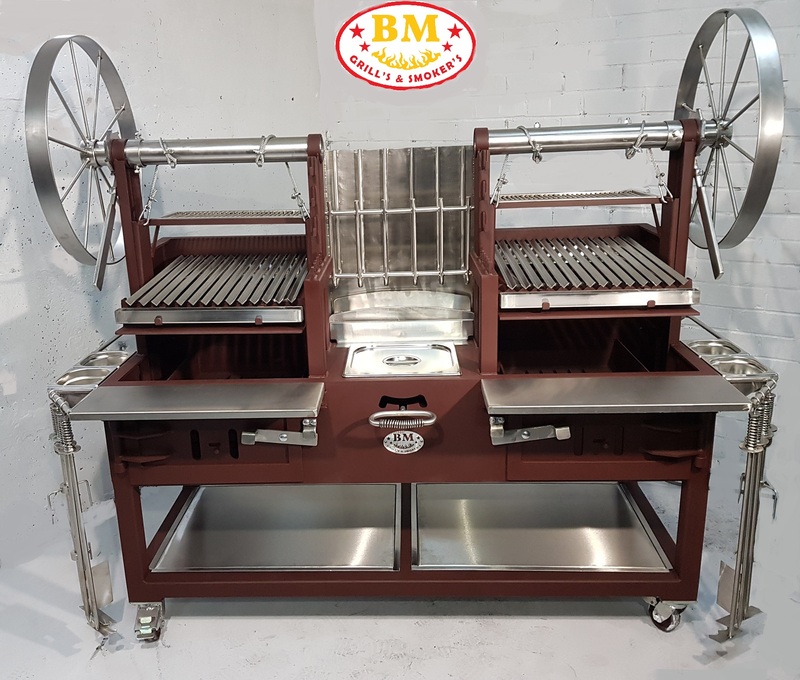 BM G-5 Plus is a ultimate wood /charcoal grill pit for catering business use. 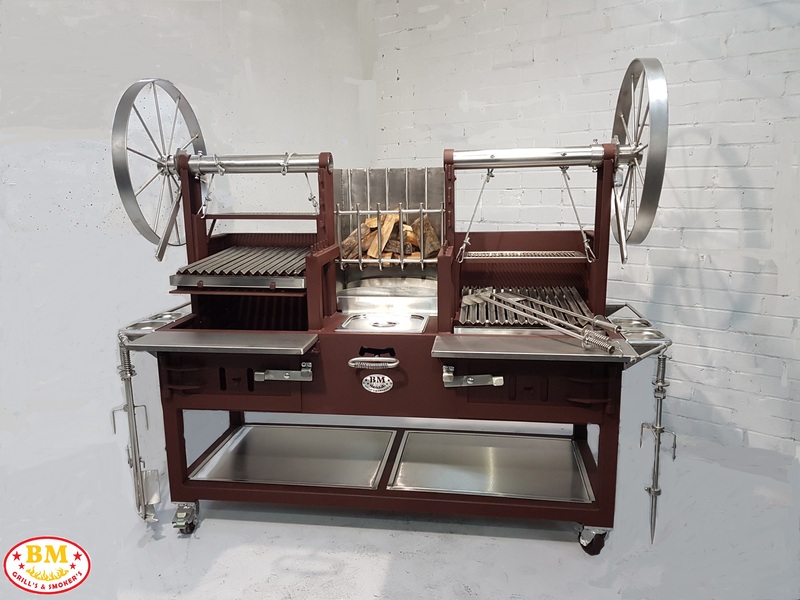 It’s a durable, heavy duty South American Style Grill made of very thick stainless steel 304 grade and mild steel combination. 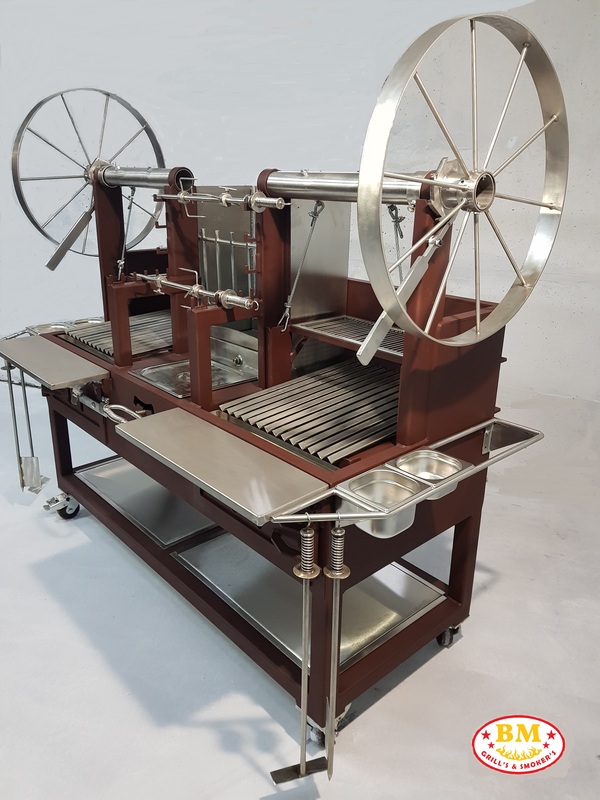 It’s very detailed, with astonishing design, luxurious colour, practical and comfortable commercial barbecue unit. 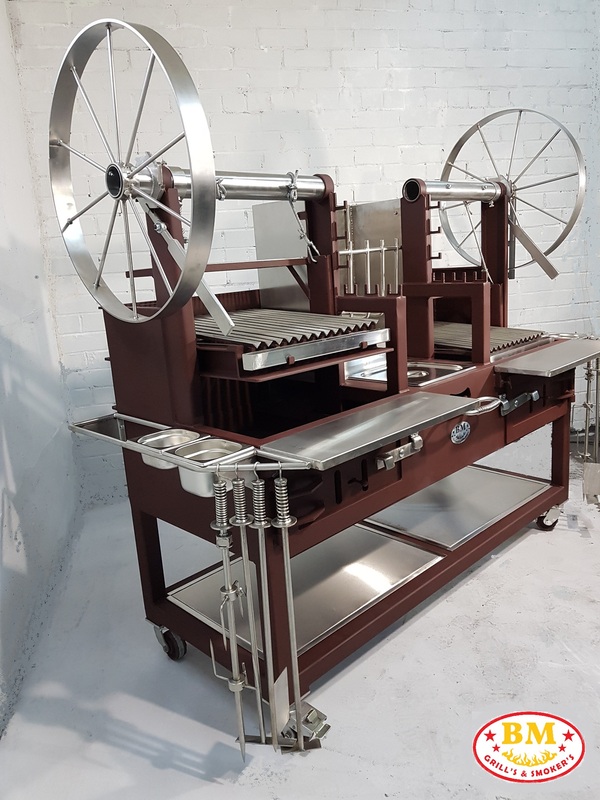 It consists of two independent barbecues with V-shaped cooking grates and above fitted warming/resting shelves which height level are controlled by two large independent crank wheels(made in stainless steel) allow the chef to adjust the height of the cooking surface with the rise and fall of the flames. 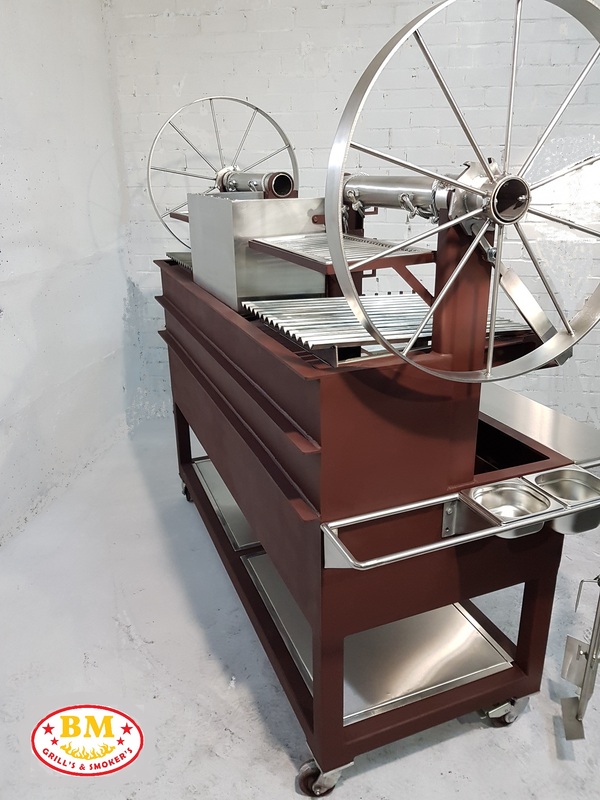 Stainless Steel V-Channels slanted at 4 degrees capture juices for basting and sauce preparation. 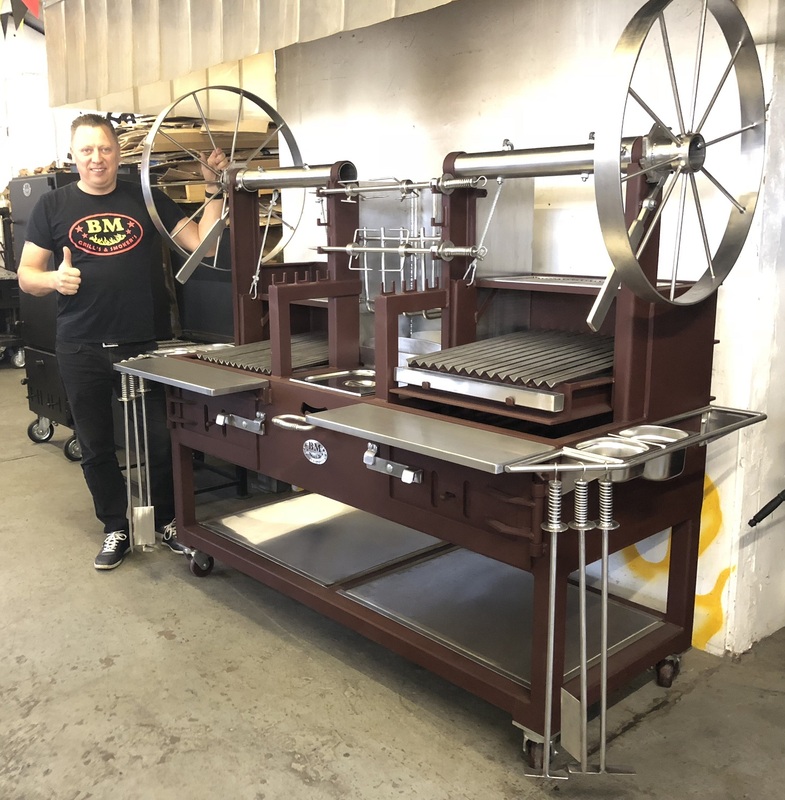 The fuel drawers(baskets) for charcoal or wood fitted under the cooking grates, can pull out the drawer when the firebox door open for easy to fill up more coals. etc. Underneath of the fuel drawer mounted removable ash catchers (ash trays) for easy cleaning. Firebox door equipped with adjustable air dampers(vents) to increase or decrease heat in the barbecue. 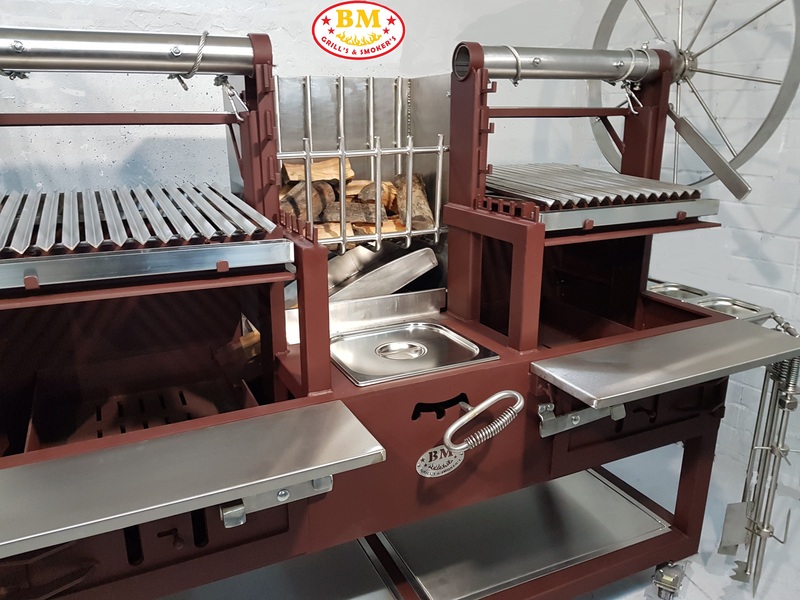 The BMS-5 PLUS also equipped with the brasero (wood burner, amber maker), where the embers can be distributed into one or the other fuel drawer (right or left) via embers catching tray which leans against the fuel drawers. Asado style cooking (large pieces of meat) also available at the front of brasero (wood burner) on the spits (provided) with adjustable height and distance positions against the fire. 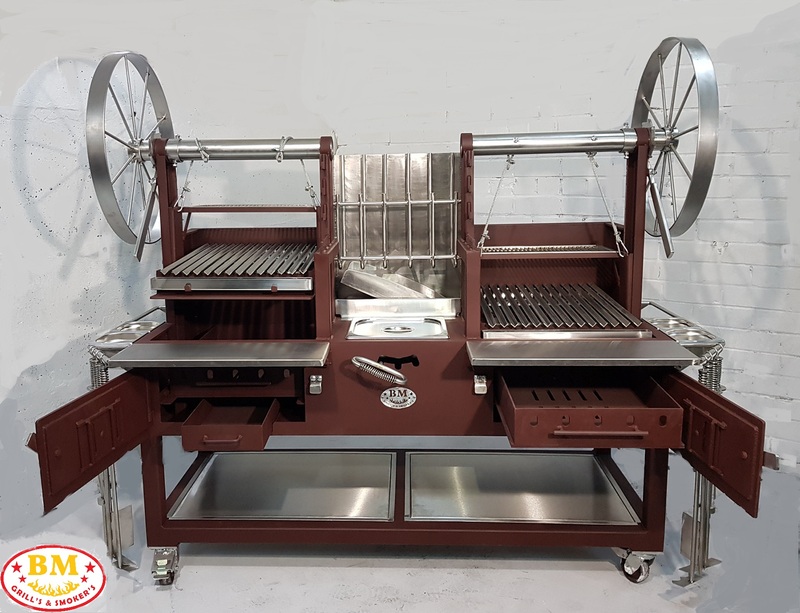 The Grill mounted on the heavy duty stand made of 50mm square tubing, two removable stainless steel shelves at the bottom and heavy duty braked casters wheels. 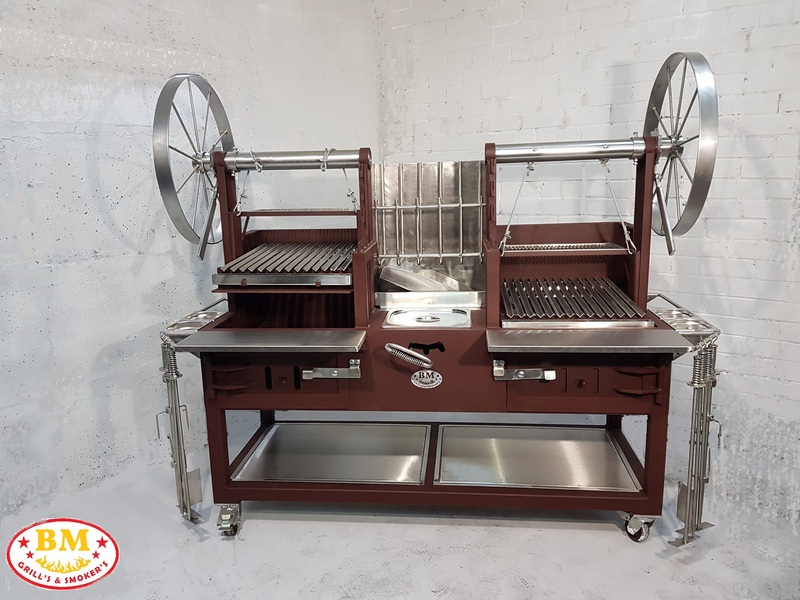 The is many other futures included such as the front shelves, side bars for hanging tools and sauce pans, etc.., gastronorm pan with the lid in between two cooking areas to keep food warm or use as a fat catcher while cooking something on the spits above, also included BBQ tools (grate scrappers and ash pokers), fat catching trays at the front of the cooking grates, etc. Overall dimensions: 214cm wide, 190cm height and 96cm depth.